While the alter-worlds of the sci-fi literature and film may not always be geographically accurate, if not “positively simple-minded”, as Martin Lewis puts it, they do a little bit better linguistically-speaking. While in older series everyone on all planets spoke idiomatic English (and American English at that! ), the field has moved in the direction of creating made-up sci-fi languages. Probably, the best known example of such a language is Klingon, the language that was designed for the Star Trek series. The original attempt at creating Klingon was made by James Doohan, the actor who portrayed Montgomery Scott, but later the task of creating a full-fledged artificial language was given to Marc Okrand, a linguist who wrote on the grammar of Mutsun, a dialect of Ohlone (an extinct Utian language formerly spoken in the north central Californian coastal areas) and was instrumental in developing the first closed-captioning system for hearing-impaired TV viewers. Based on the words made up by Doohan, Okrand proceeded to create a working language, with a more extensive vocabulary and complex grammar. 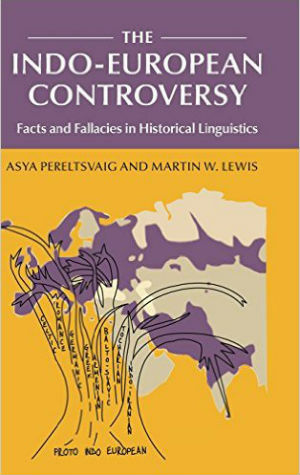 The reason that artificial languages like Klingon are interesting for linguists – who are mostly concerned with natural, human languages – is that, despite being depicted as alien languages, these made-up idioms have all the trappings of a human language. They are always a product of a human mind. Since making their on-screen debut, artificial languages are often picked up and further developed by other humans. What makes that possible is that artificial languages like Klingon are designed to emulate human languages. In fact, the biggest problem in creating Klingon was to make it sound alien enough without being too difficult for human (and English-speaking!) actors to pronounce or to use. 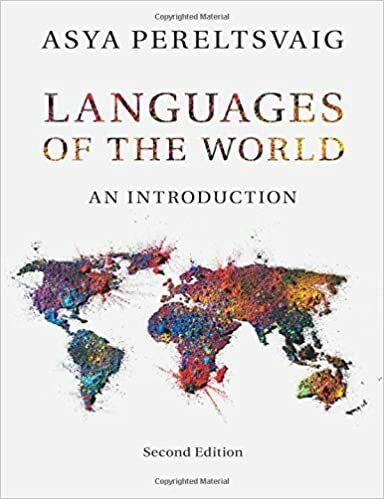 The way that Marc Okrand approached this problem was two-fold: first, he broke some of the rules that are universal for human languages, and second, he incorporated some of the rarest sounds and grammatical patterns that are found in only a few natural languages. 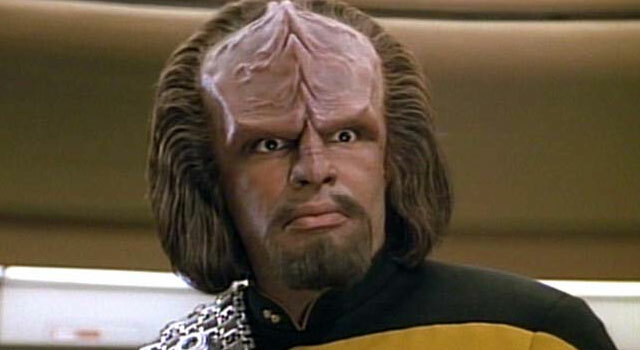 For example, unlike all known human languages, Klingon does not have the [a] sound, the most vowel-like sound of all. Instead, it has the exotic tlh sound, in a phoneticist’s lingo a “voiceless alveolar affricate with lateral release” (you may want to memorize this phrase and use it to scare away an especially annoying interlocutor at a cocktail party). This tlh sound is unusual to English speakers, but common in North and Central American indigenous languages; for example, it is the sound at the end of the word Nahuatl, pronounced in the authentic way. Moreover, Okrand applied the same principles to the grammar of Klingon. For instance, he chose the rarest pattern of word order, the Object-Verb-Subject pattern: instead of saying “I boarded the Enterprise”, the Klingon construction is translated as “The Enterprise boarded I.” This pattern is found in about a dozen languages, most of them in the Amazonian jungle (see map below): Hixkaryana, Apalaí, and Asuriní (northern Brazil), Kuikúro (central Brazil), Tiriyo (southern Suriname and northern Brazil), Arekuna (Venezuela, Guyana, and Brazil), Panare (Venezuela), Bacairí (southern Brazil), Cubeo (Colombia), Urarina (Peru), Selknam (southern Argentina), Tuvaluan (Tuvalu), Mangarayi and Ungarinjin (Australia). No more than 35,000 people in the world speak a language with the Object-Verb-Subject pattern, and I doubt you have a great chance of running into anyone of them in your lifetime. Naturally, that makes Klingon sound rather “alien” to us. Another peculiar feature of the Klingon grammar is the lack of adjectives; there is no word for ‘greedy’, but there is a verb, qur, which means ‘to be greedy’. This is also uncommon (but not impossible) in natural human languages. For example, Mohawk (spoken in southwestern Quebec and southern Ontario in Canada, as well as in St. Regis Reservation in Franklin County, New York) appears to not have adjectives, so instead of saying ‘Sak used to be big’, a Mohawk speaker would produce a literal counterpart of ‘Sak bigged’ (or actually, ‘Bigged Sak’, as Mohawk is a verb-initial language). Curiously, some languages do it both ways: they may have bona fide adjectives alongside verbs with adjectival meaning. For example, in Èdó (spoken by a million or so people in Nigeria) the adjective mòsèmòsè ‘beautiful’ co-exists with the verb mòsé meaning ‘be beautiful’ (the accent marks over the vowels represent tones: é is pronounced with a high pitch than è). 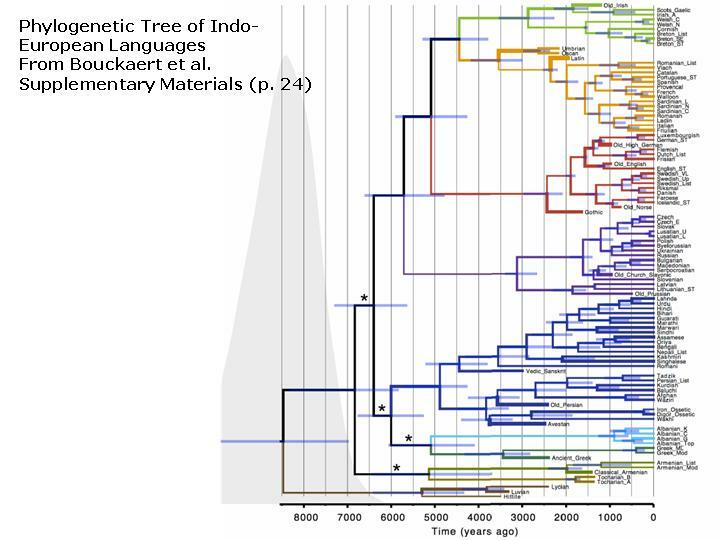 Also, unlike natural human languages, Klingon has a very small vocabulary of about 2,000 words. In particular, it would be hard to discuss art or choose paint colors in Klingon, as it has just one word for ‘blue’, ‘green’ and ‘yellow’. Only two human languages are known to lump ‘blue’, ‘green’ and ‘yellow’ under the same umbrella term: Javaé (spoken in Brazil) and Lele (spoken in Chad).